Initially, hydrocolloid dressings were developed to function as part of the stomal flange. Based on their success in protecting peristomal skin, they were introduced gradually into other areas of wound care. They contain wafers of gel-forming polymers, such as gelatin, pectin, and cellulose agents, within a flexible water-resistant outer layer. The wafers absorb wound exudate, forming a gel and creating a moist healing environment. The wide range of hydrocolloid dressings available include fibrous and matrix dressings. Commercially available products include DuoDerm®, Granuflex®, Comfeel®, Cutimed® Hydro, and CovaWound™. Although these dressings are contraindicated for patients with infected ulcers, they’re useful in preventing wound infection, serving as a barrier that prevents bacterial entry into diabetic foot ulcers. In addition, they promote a low pH, which reduces or even eradicates certain bacteria (namely Pseudomonas aeruginosa) from the wound bed. Hydrocolloid dressings are self-adherent and easy to apply. The second most popular dressing for diabetic foot ulcers, they can be left intact up to 7 days, depending on the amount of wound exudate. The need for less frequent dressing changes can reduce disruption of healing, improve patient compliance, and decrease cost. Controversy exists over the use of hydrocolloid dressings for treating diabetic foot ulcers. 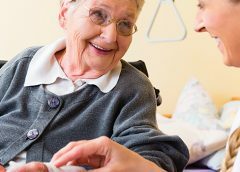 Many wound care experts suspect they may increase the infection risk because they retain bacteria and purulent wound exudate, create a hypoxic wound environment, and lead to less frequent wound monitoring. 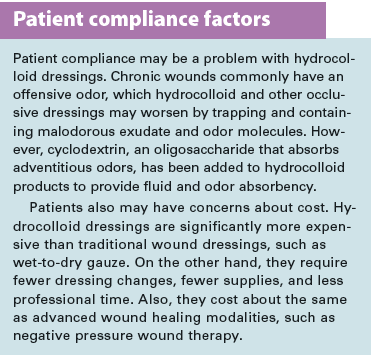 Given these concerns, hydrocolloid dressings are contraindicated for infected wounds. Use these dressing with care in diabetic patients. Make sure to obtain bacterial cultures before starting treatment, and change the dressing more often than in patients without diabetes. Also, because they’re occlusive, hydrocolloid dressings may lead to an overly moist wound environment, with excess moisture causing dressing separation and periwound maceration. Experts recommend using them only for wounds with low to moderate amounts of wound exudate. data and included research with risk of bias. Consequently, proper patient selection is crucial. We need further research to evaluate the safety and effectiveness of hydrocolloid dressings for diabetic foot ulcers and to establish further guidelines for their use. Kristine Hoffman practices podiatry at the Boulder Valley Foot and Ankle Clinic in Boulder, Colorado. Consensus Development Conference on Diabetic Foot Wound Care: 7-8 April 1999, Boston, Massachusetts. American Diabetes Association. Diabetes Care. 1999;22(8):1354-60. Cuschieri L, Debosz J, Miiller P, et al. Autolytic debridement of a large, necrotic, fully occluded foot ulcer using a hydrocolloid dressing in a diabetic patient. Adv Skin Wound Care. 2013;26(7):300-4. Dumville JC, Soares MO, O’Meara S, et al. Systematic review and mixed treatment comparison: dressings to heal diabetic foot ulcers. Diabetologia. 2012;55(7):1902-10. Dumville JC, Deshpande S, O’Meara S, et al. Hydrocolloid dressings for healing diabetic foot ulcers. Cochrane Database Syst Rev. 2013;8:CD009099. Fisken RAD. Which dressings for diabetic foot ulcers? J Br Podiatr Med. 1997;52:20-2. Hampton SC, Collins F. Tissue Viability: A Comprehensive Guide. Hoboken, NJ: Wiley; 2002:76-132. Kavitha KV, Tiwari S, Purandare VB, et al. Choice of wound care in diabetic foot ulcer: a practical approach. World J Diabetes. 2014;5(4):546-56. Korting HC, Schöllmann C, White RJ. Management of minor acute cutaneous wounds: importance of wound healing in a moist environment. J Eur Acad Dermatol Venereol. 2011;25(2):130-7. Monsen C, Acosta S, Mani K, et al. A randomised study of NPWT closure versus alginate dressings in peri-vascular groin infections: quality of life, pain and cost. J Wound Care. 2015;24(6):252, 254-6, 258-0. Ono I, Gunji H, Zhang JZ, et al. Studies on cytokines related to wound healing in donor site wound fluid. J Dermatol Sci. 1995;10(3):241-5. Reiber GE. Epidemiology and health care costs of diabetic foot problems. In: Veves A, Giurini JM, LoGerfo FW, eds. The Diabetic Foot: Medical and Surgical Management. New York, NY: Humana Press; 2002:35-58. Sen CK. Wound healing essentials: let there be oxygen. Wound Repair Regen. 2009;17(1):1-18. Singh N, Armstrong DG, Lipsky BA. 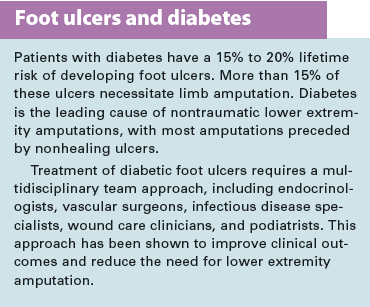 Preventing foot ulcers in patients with diabetes. JAMA. 2005;293(2):217-28. Uccioli L, Izzo V, Meloni M, et al. Non-healing foot ulcers in diabetic patients: general and local interfering conditions and management options with advanced wound dressings. J Wound Care. 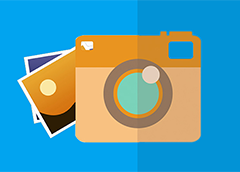 2015;24(4 Suppl):35-42.